I discovered Georgia O'Keeffe in an American History textbook which was required reading for my ninth grade class. In this book was a picture of Black Iris, an image that still inspires me today. 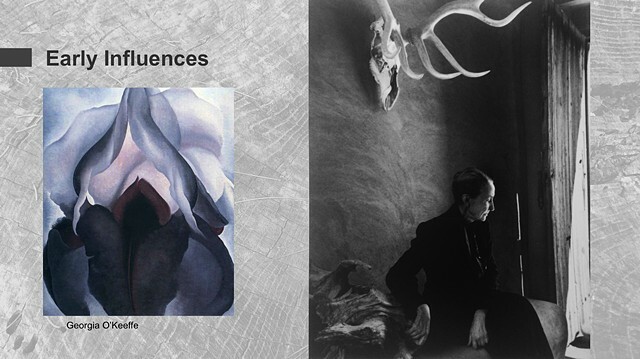 I have read several books about Georgia O'Keeffe's life and her writings. She was a true pioneer with her work and how she chose to live her life. This was very important for me when I was starting my career.